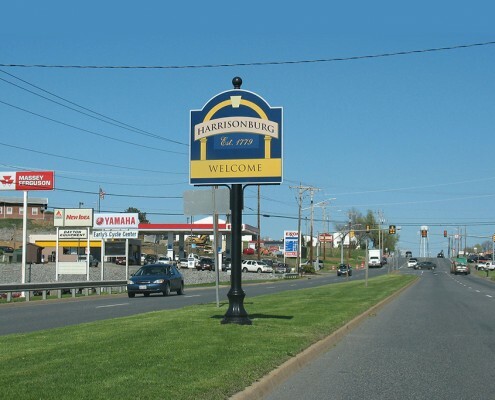 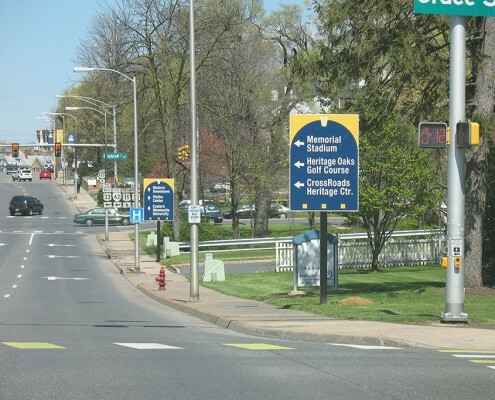 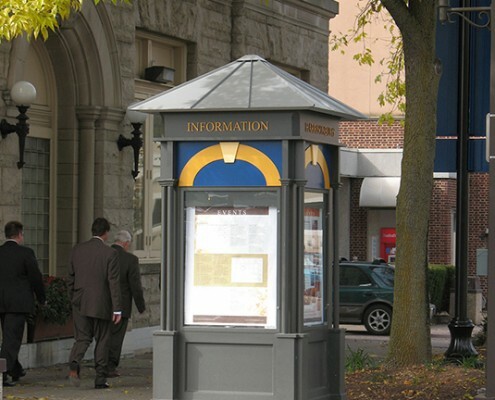 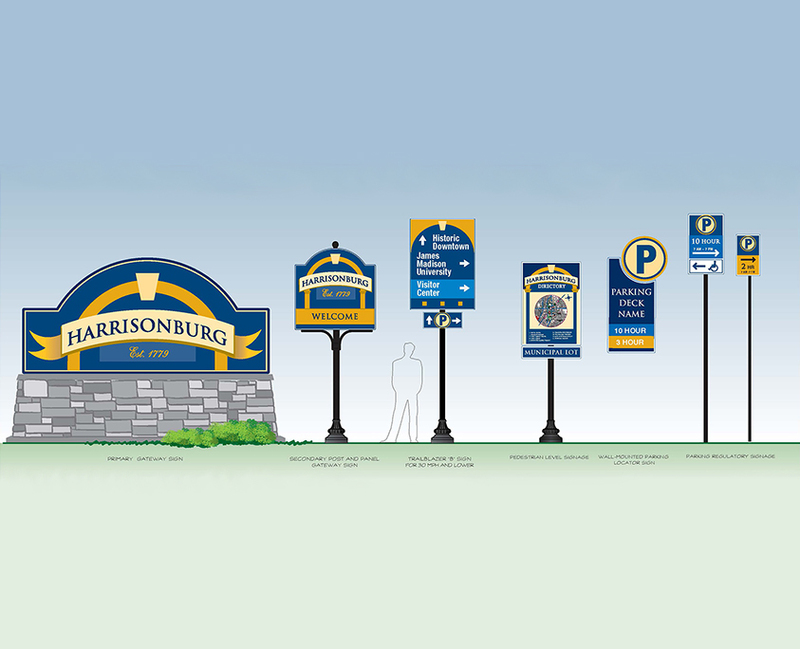 In 2005, the City of Harrisonburg hired Frazier Associates and Mattern & Craig Engineers to design a major streetscape improvement project, to upgrade gateways, landscaping, sidewalks, and lighting, and to relocate utilities. 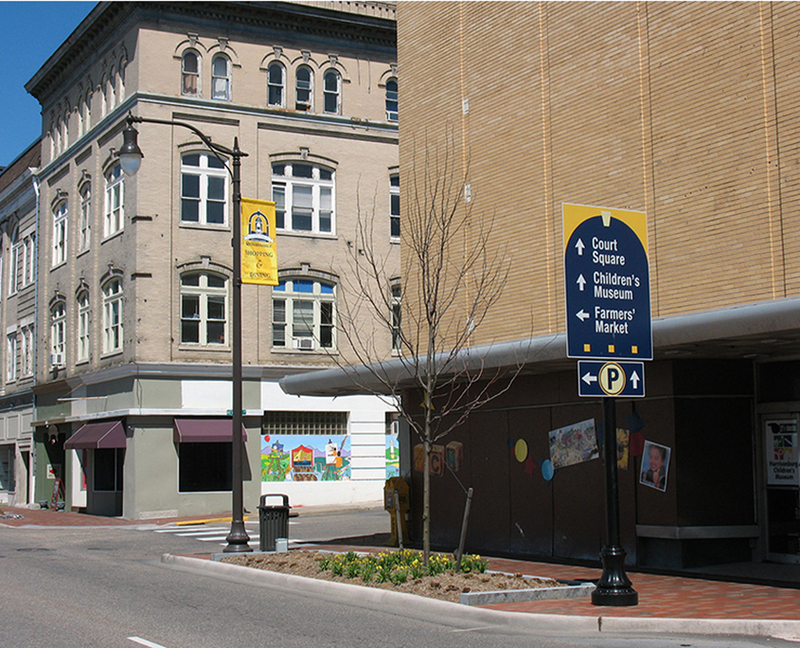 The City also asked Frazier Associates to create a wayfinding system to draw people toward downtown. 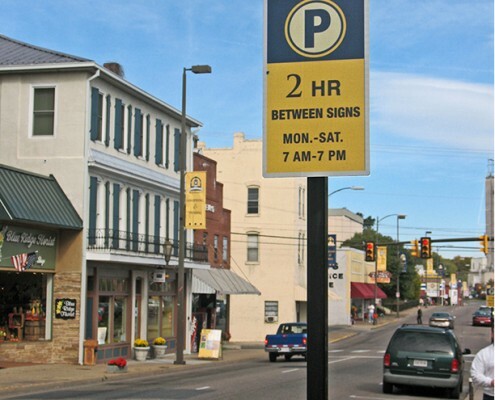 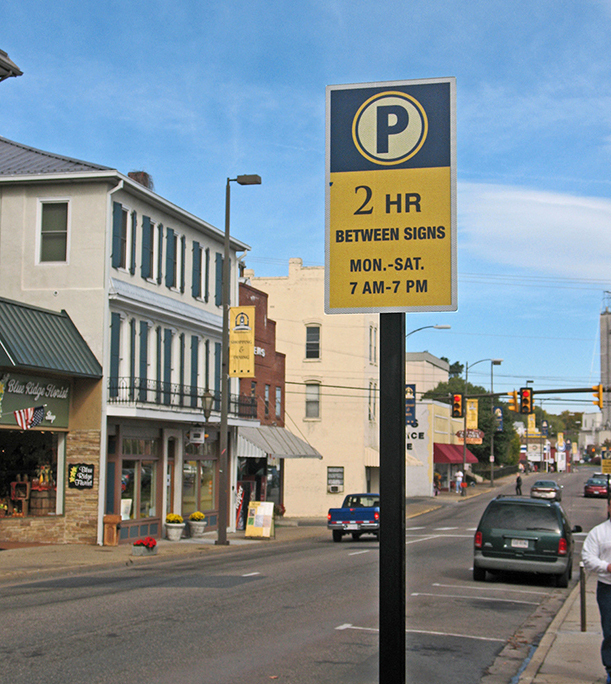 The new sign system (which includes gateway signs, trailblazers, parking, and pedestrian kiosks and downtown gateway banners) blazes a trail to the city’s historic downtown as well as key attractions. 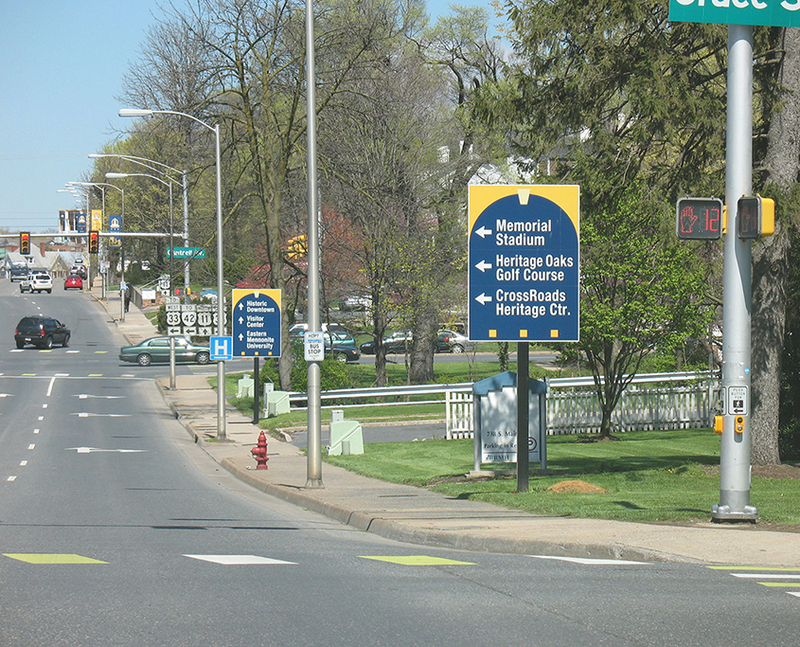 The system capitalizes on the substantial growth and traffic that is occurring at the city’s edges. 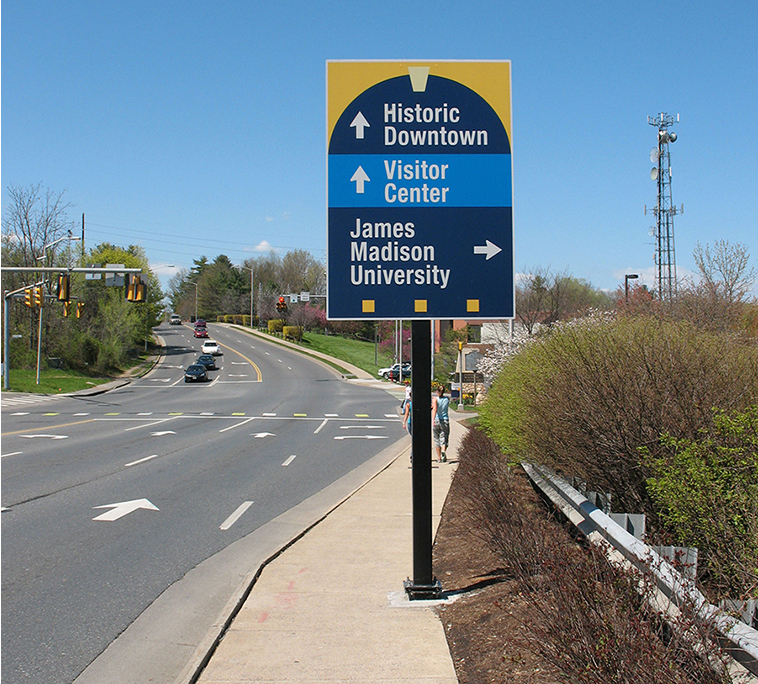 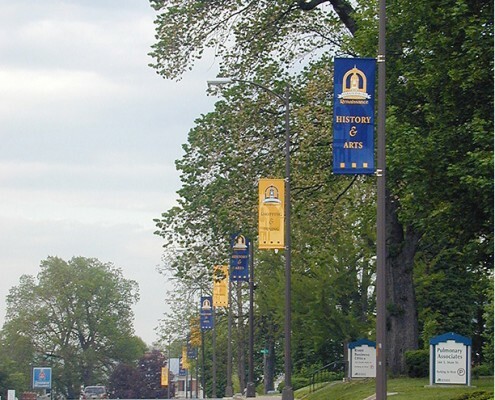 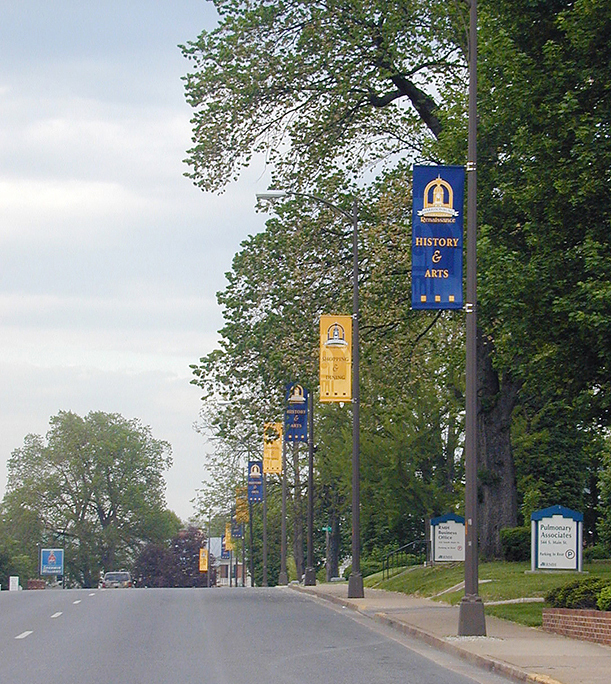 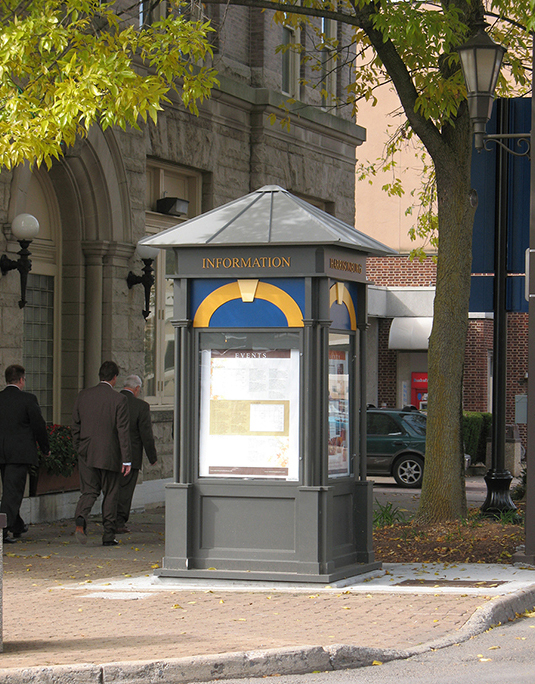 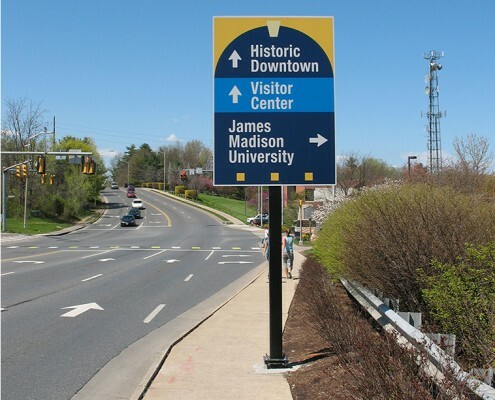 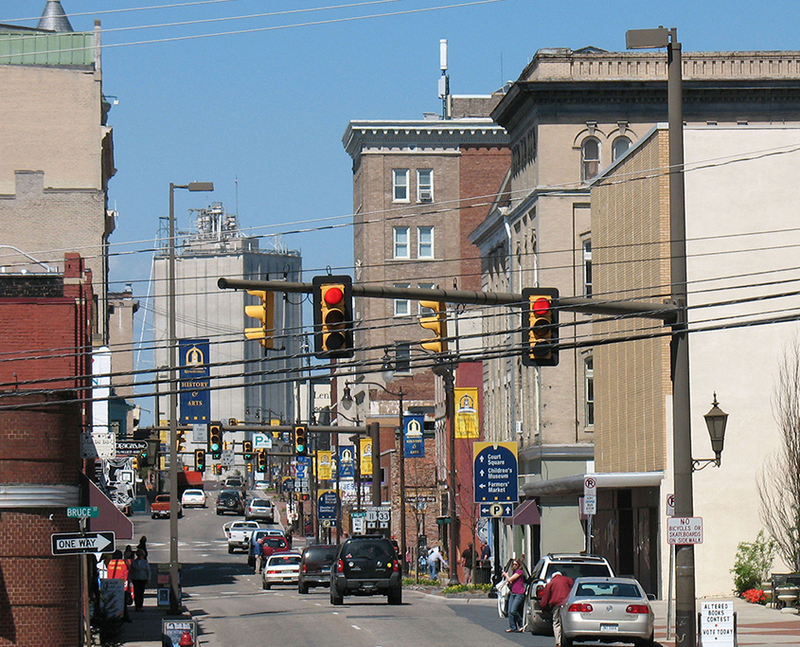 As the 30-block historic downtown adjoins James Madison University, the system also increases connectivity between downtown and the campus. 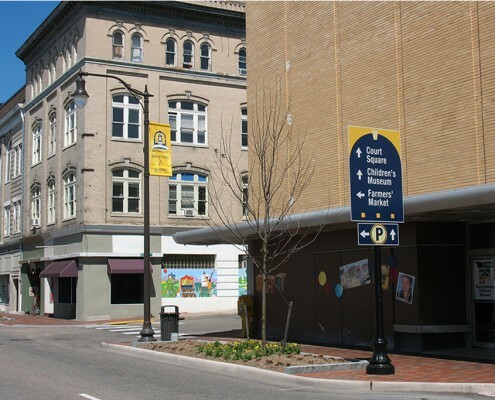 Goals of the project included improving the appearance and function of downtown, sparking economic investment, increasing tourism, and enhancing civic pride.